Shin Shin Aiki Shuren Kai uchideshi students offering a prayer at the Aiki Jinja in Iwama. Aikikai Ibaraki Iwama dojo this year. IISA (Instructors in Support of AHAN) are instructors of many different styles and affiliations who support AHAN’s philosophy of service to the community through humanitarian and community service projects in their own towns and cities. As part of AHAN’s IISA program, instructor education is very important, especially for instructors who exhibit an enthusiasm for learning and a dedication to their own practice. We encourage instructor development with projects such as our cross-cultural training tours to Japan and other countries abroad. This spring Ali Uludag Sensei, President of the International Uludag Aikikai Federation of Istanbul, Turkey accompanied Homma Kancho on an IISA tour to Japan. Ali Sensei was invited to go to Japan with Homma Kancho as an opportunity for him to experience first-hand different instructors and differentdojos in Japan to expand his perspective as an instructor and a role model in Turkey. After arriving in Tokyo, Ali Sensei and I boarded the Joban line train bound for Iwama to attend the annual Aiki Jinja (Aiki Shrine) Tai Sai Festival. As we neared Iwama, I thought I should try to explain to Ali Sensei a little of the role Iwama has played in the history of Aikido. Since Ali Sensei does not speak English or Japanese, and I do not speak Turkish, I decided that the simple system of hand signals, pantomime and drawings on paper we had developed to communicate with each other would be insufficient to communicate such a complicated history. In Japan we use the phrase, “seeing once is better than listening a hundred times”. This saying I believe is comparable to the English phrase “A picture is worth a thousand words”. With this concept in mind, I decided that the best way to explain Iwama history to Ali Sensei was to let him see for himself. 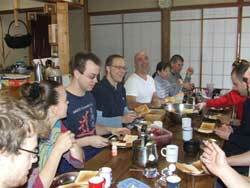 Most Aikidoka from all parts of the globe visit Iwama to see the birthplace of Aikido and the home of the Founder Morihei Ueshiba. 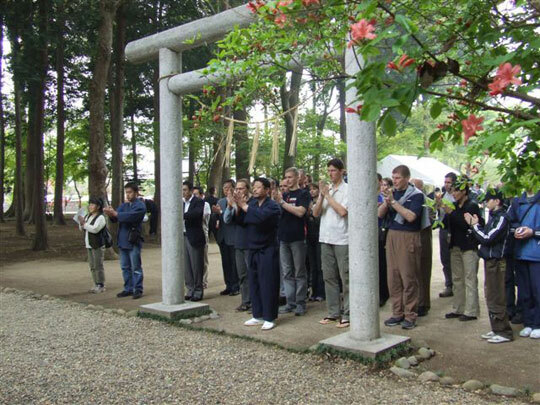 Iwama belongs to our entire world Aikido community as an important historical site; it does not belong only to Aikikai. This is the point I want to make clear and is the motivation for writing this article. I have witnessed events in Iwama recently that greatly concern me, and I believe need to be brought to the forefront. I see pending problems that may very well have extreme influences on our future as an Aikido society that need to be spoken of rather than silently ignored. If nothing is said, this situation may not change, and as I have said, I think the consequences could be severe for the future of our practice of Aikido. I have had my own personal relationship with Iwama and the Founder Ueshiba for most of my life, and my history in Iwama is an integral part of the path I walk today. Many people who live or have lived in Iwama have taken great care of me in the past, and I have built many relationships in Iwama in the years that I lived there and since. I do not wish to offend or anger any one of them with my opinions and do not wish to intentionally cause discord. I sit down at the keyboard to write this article as my way of being true to my convictions and as a way to show my respect and appreciation for the Founder and for all of those in Iwama who taught and cared for me so well. Ali Sensei after finishing a prayer at the Aiki Jinja. 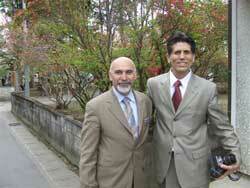 Ali Sensei with Aikido Journal Chief Editor, Mr. Stanley Pranin. There are some that think that the Founder, Morihei Ueshiba himself is an actual god, and pray to the Founder as a deity at the Aiki Shrine. Others come in a show of respect for the traditions of Shintoism, a religion of deep historical roots in Japan. I myself did not offer a prayer to the Founder as a god for knowing the Founder personally, that is not my belief. This, I have written about in depth in my article, “The Founder, Morihei Ueshiba a God?”. I wondered what Ali Sensei thought of me standing there while he, the visitor from another land bowed his head and clapped his hands.The days before the Tai Sai Festival is held, it is customary for the Iwama dojo and Aiki Jinja grounds to be cleaned thoroughly. On the day we arrived in Iwama, preparations for the coming events were in progress. 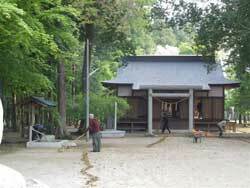 The Aiki Jinja grounds were quiet when I took Ali Sensei there to show him how to properly pay his respects at the coming events. Ali Sensei is a devout Muslim and according to the strictest covenants of the Muslim faith it is not allowed to bow ones head to any person, deity or god except to Allah. It is also part of Muslim teaching to be respectful of other forms of worship, of which Ali Sensei takes to heart in his show of respect for others. Ali Sensei bowed his head and learned the sequence of claps at the Aiki Jinja as a symbol of his sincerity, innocence and respect for the Founder and I appreciated his objectivity. Early the next morning before the Tai Sai Festival began, the Iwama dojo (what is now called Aikikai Ibaraki dojo) and the Aiki Jinja properties were being cleaned for the final time. 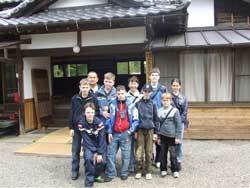 The grounds were being swept clean by young foreign and Japanese Aikikai Ibaraki dojo uchideshi (live-in students). Aikikai Ibaraki dojo uchideshi keep to themselves without saying hello. Shin Shin Aiki Shuren Kai uchideshi smile awkwardly as their greetings go unanswered. I have been living in the United States for over thirty years. To live as a foreigner independently in a country other than ones own, one develops the ability to quickly read people and situations without the help of language skills. In Japan we use the phrase “To understand in a spark”. In English the phrase is “To understand in a flash”. Sometimes living in the United States, I have felt like the family pet; unable to rely on language or understanding customs or the nuances of certain interactions to understand what is going on around them. Like a dog, I have learned to trust my other senses of observation to understand situations as they arise. I have learned to be very sensitive to people’s eyes, voice tones, body movements and mannerisms. I have also learned how to act quickly on what my instincts tell me. This is a survival skill that most everyone who has lived for a long period in a foreign country learns to develop, especially in the beginning when language skills have not yet been mastered. 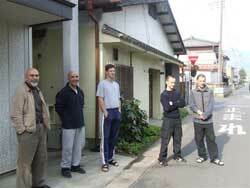 Ali Sensei and I called out “good morning” cheerfully to the Aikikai Ibaraki uchideshi as they labored at their tasks. They did not return our greeting. They did not even look up from their sweeping, as if to avoid our presence all together in the early morning hour. My instincts told me in this situation that these young people were under strict orders concerning whom they were allowed to interact with and whom they were not. It felt like a very dark cloud hung over them. To me it seemed clear that they were “allowed” to interact with Aikikai related individuals but were “not allowed” to relate to anyone associated with Iwama Ryu Shin Shin Aiki Shuren Kai and Hitohiro Saito Sensei. To err on the side of caution, these uchideshi students were not taking chances at making a mistake and were refusing to acknowledge the presence of anyone including myself, Ali Sensei and the very friendly uchideshi of Hitohiro Saito Sensei. Hitohiro Saito Sensei is the son of the late Morihiro Saito Shihan, keeper of the Aiki Shrine and Iwama dojo until his passing in 2002. Hitohiro Saito Sensei began his own organization, Shin Shin Aiki Shuren Kai separate from Aikikai Headquarters in 2004. I could tell by the sound that the new baby frogs had begun emerging from the pond behind the Aiki Jinja. Especially after a hard rain, literally thousands of the tiny new frogs would begin their migration from the pond past the Aiki Shrine towards the dojo. Once in awhile, Morihiro Saito Shihan would grant us the rare opportunity to have a photo taken with him under the Aiki Shrine gate. I remember trying not to step on the thousands of new baby frogs as we made our way one lucky morning when I had been granted a photo with Shihan. I think that a few of those baby frogs that survived the wide step of Morihiro Saito Shihan are still around, and especially after his passing grew to become fat old frogs that still hide in the shadows on the Iwama dojo grounds. Later that morning before the Tai Sai Festival began, I took Ali Sensei to the Founder’s Iwama dojo(Aikikai Ibaraki dojo) so that he could see where the Founder had lived and practiced. We just reached the entrance to the property when we were stopped by one of the “old frogs” who waved us away feebly, himself having trouble moving with age. 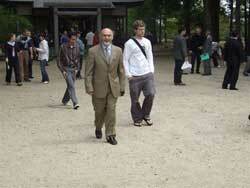 I stated, “This gentleman is a guest from Istanbul, Turkey and is a member of Aikikai, with a rank of Aikikai 5th dan. He has many dojos in Turkey and surrounding countries and has traveled a long way to see the dojo of the Founder. Will you not allow us to enter?” The old frog just waved us away; he knew we were guests at Saito Sensei’s Shin Shin Aiki Shuren Kai dojo. There is a sign at the Aikikai Ibaraki dojo property gate. It says in Japanese, “Keep out, unless you are related to the owners of this property”. I wondered what that really means. What is the definition of related? Since Aikidoka from all over the world come to Iwama to visit the dojo and Aiki shrine of the Founder, maybe it should be posted in all languages who is welcome and who is not, who is related and who is not. Along with new signs, maybe new higher fences and stronger gates should be built, with a guard to check for papers to prove if one is related or not. In this way, one of the Aikikai Ibaraki dojo old frogs will not have to wave off unwanted visitors in person. There was another young woman Aikidoka that was visiting Iwama from abroad while we were there. Her home dojo used to be part of Aikikai under Morihiro Saito Shihan until his passing. When his son, Hitohiro Saito Sensei chose to become independent from Aikikai, her instructor made the decision to join Hitohiro Saito Sensei in his new organization. This re-affiliation was beyond her control, and frankly she was just happy to be practicing Aikido in her home country. When this young lady came to Iwama, the purpose of her visit was to see the dojo of the Founder of Aikido Morihei Ueshiba and the Aiki Jinja. 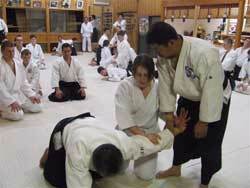 She came to experience for herself these very important places in the history of Aikido. As was her new affiliation, she stayed as an uchideshi at Shin Shin Aiki Shuren Kai dojo during her stay. That same morning, she set out to see the original Iwama dojo or what is currently the Aikikai Ibaraki dojo for herself. As she approached the dojo, she asked if she might be able to use the restrooms which were located outside of the dojo in the entryway. Her request was refused, and she was waved away to use restrooms elsewhere off of the premises. She returned to the Shin Shin Aiki Shuren Kai dojo crestfallen by the experience, wondering why the people at the Founder’s dojo had treated her that way. This was not what she had dreamed, when dreaming of coming to Iwama. There were also about ten young people and their adult chaperone instructors visiting Iwama for the Tai Sai festival from Vladi Vostok, Russia at the same time we were there. Young guests from Russia. Their smiles hold the future of our Aikido practice. All of them were staying at Shin Shin Aiki Shuren Kai dojo. They were all very well mannered and respectful young people. Not one of these young people attempted to visit the Aiki Jinja or the Founder’s dojo by themselves. They had gotten the message from the Aikikaiuchideshi sweeping the grounds that they were not welcome. They got this message without being told. As people started to gather for the Tai Sai festival, I found the kids from Russia and their chaperones huddled together outside trying to get a look at the Aiki Jinja from across the path. I hurried over to them and personally escorted them to the shrine and then to the Aikikai Ibaraki dojo for a tour. The children looked around hesitantly wondering if it would be okay for them to go. As we entered the grounds some of the old frogs held up their arms to say “stop”. I was not going to let this happen. Even if I was risking being physically expelled from the premises I was not going to disappoint these children who had traveled so far to see the Founder’s dojo. I helped them take pictures in front of Aiki Jinja and the Founder’s dojo which they delighted in. There was absolutely no reason why these innocent children from Russia were being barred from visiting these historical sites. Uchideshi with smiles at Shin Shin Aiki Shuren Kai. Hitohiro Saito Jukucho concentrating on his teaching. The next morning the Shin Shin Aiki Shuren Kai uchideshi spotted her sweeping the grounds around the Aiki Jinja. The uchideshi waved and said hello as they passed by. She did not answer, say hello or even smile. I guess her training had already begun. I heard a sad story from one of Saito Sensei’s uchideshi. One evening about a week before the Tai Sai festival a foreign woman arrived at the dojo with a large suitcase. She was greeted warmly by other uchideshi, and she looked relieved as she was shown into the uchideshi dining area. “I am here to be an uchideshi” she stated. Since there are always a lot of uchideshi students coming and going at Shin Shin Aiki Shuren Kai dojo, she was welcomed in and given a cup of tea and dinner. After dinner they helped her with her bedding and showed her to the sleeping quarters. It was while she was settling in that they all discovered that she was suppose to be an Aikikai Ibaraki dojouchideshi, not an uchideshi for Saito Sensei! Realizing her mistake she quickly packed up her things and ran off to the Ibaraki dojo next door. How are we supposed to understand the meaning of all of these events? I do not believe that Aikidoka who have traveled from other countries to become uchideshi in Iwama would act like this of their own accord. I fear that a very dangerous message is being sent from Iwama these days, a message in discord with the history and tradition of Iwama and Aikido. In the Aikikai Shinbun (newsletter) there are many articles boasting successful, well attended Aikikai seminars around the world. Any Japanese reader reading the Japanese Aikikai Shinbun should be very impressed with Aikikai’s success in the world. Some seminar articles boast attendance in the hundreds, some in the thousands. What is not reported in these Aikikai articles is that many participants in these seminar events are not members of Aikikai but rather independent or belonging to other organizations. Especially in Europe and North and South America, open style seminars are quite common and these students often outnumber attending Aikikai students. These articles offer impressions that have favorable effects on donor organizations to Aikikai like the Nippon Zaidan. Support organizations need to be aware that the light shed by these articles is not truly reflective of Aikikai’s standing in the world. Not everyone attending Aikikai seminars is part of Aikikai, and neither is everyone visiting Iwama. For ALL Aikidoka, all over the world, Iwama is a very important historical site in our Aikido history. Iwama is part of every Aikidoka’s heritage. It is not the property of a few old frogs; Iwama should belong in spirit to all of us. 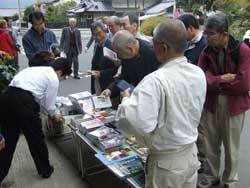 Visitors come from foreign countries to Iwama not knowing the language or customs or culture of Japan. They come to see the home of the Founder and to pay their respects. To be met by a few old frogs in-fighting with their neighbors across the street leaves an impression I do not think we want to share with our Aikido world. This is not a proper representation of Japanese manners, hospitality or etiquette. The Aikikai Shinbun features article after article about successful seminars in other parts of the world, but in Iwama, Aikikai’s heritage is being spoiled and darkened. What is being taught by those who “shoo” away visitors, or not allow them to take pictures or use a restroom? It should not be that difficult to teach students to say good morning to their neighbors, especially when their neighbors are also part of our Aikido community. The current problems in Iwama were not inherited from the Founder, his teaching or his philosophy. The Founder did not teach lessons of bitterness or exclusivity, he taught the way of love and harmony. After Morihiro Saito Shihan’s passing, Aikido Journal, the largest Aikido information source in the world was not allowed to sell books, videos or any materials on the Aikikai Ibaraki dojo and Aiki Jinja grounds during the Aiki Tai Sai festival. 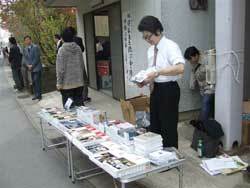 Aikido Journal moved their stands in front of the Saito family home. With this single action, Morihiro Saito Shihan’s life history in Iwama was erased. All over the world, the first generations of Japanese pioneer instructors are losing their positions as leaders in our Aikido community. Some of these great pioneer instructors have passed on, and others are near retirement. I wonder if the reigning “old frogs” in Iwama are thinking about the future of Aikido with a long-term vision. In our future, it is quite likely that some of these uchideshi that are being taught not to say hello or grant simple courtesies to other Aikidoists will become instructors themselves. This generation will someday be leaders and hold the future of Aikido in their hands. What is being taught to them now, is not the correct message; in fact it is a very dangerous message that these future leaders might be carrying with them into the world.What will happen if visitors to Iwama continue to have experiences like those illustrated in this article? I think that these actions that reflect so poorly on the Aikikai organization itself will cause more and more students to become independent. Today the Aikikai Shinbun reports on successful seminars around the world. With the message that is being delivered in Iwama, I fear that future articles will not reflect the success it once had. One day it might be that our international Aikido society might shun Japanese instructors all together the same way the “old frogs” treat international guests in Iwama today. This could very well be the result of what is being taught at our national heritage sites in Iwama. Negativity cam be communicated sometimes louder without words that with, and this negativity is dangerous and damaging for both those that give it and those that receive it. We must be very careful about what we teach at all levels; for our future is not so far away. I have seen the damage that these kinds of attitudes can have not only in our Aikido community but in other Japanese martial art societies as well. I know many Aikidoka that still live in Iwama. The first sempai I met the day I arrived in Iwama to become an uchideshi to the Founder still lives in Iwama today. I will never forget his kindness as he greeted me that day, me – a skinny kid standing at the gate with a keiko gi and a futon (In those days uchideshi had to bring their own bedding.) and showed me the way. He and other like him live now with families of their own as an integral part of the greater Iwama community. It is for the people of Iwama as well that I hope these petty squabbles and bad relationships can be overcome. I know that some might not be happy that I have written about the problems I see in Iwama and shared my views with the world. However this problem does not just affect those who live in Iwama any longer, it is a problem that can and will affect all of us if nothing is done. It is my humble hope that by bringing attention to this matter there might be a chance to make Iwama dojo and the Aiki Jinja the symbol of our heritage that it should be.